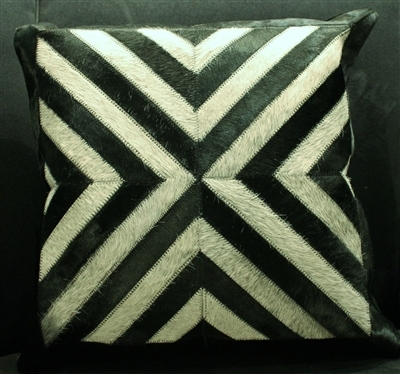 An elegant and luxurious addition to your sofa, bed or chair. 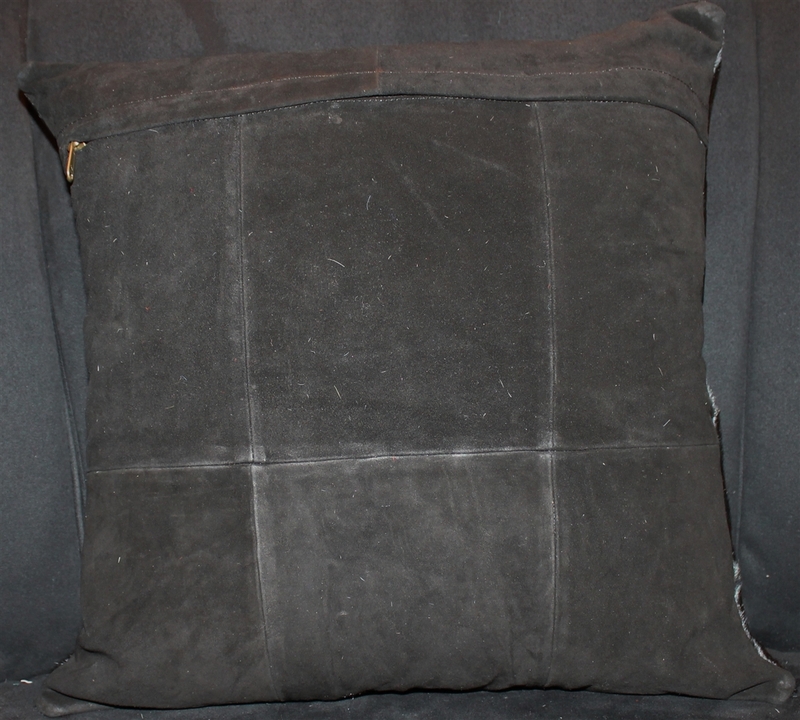 This is a handmade and high quality pillow with a suede backing. 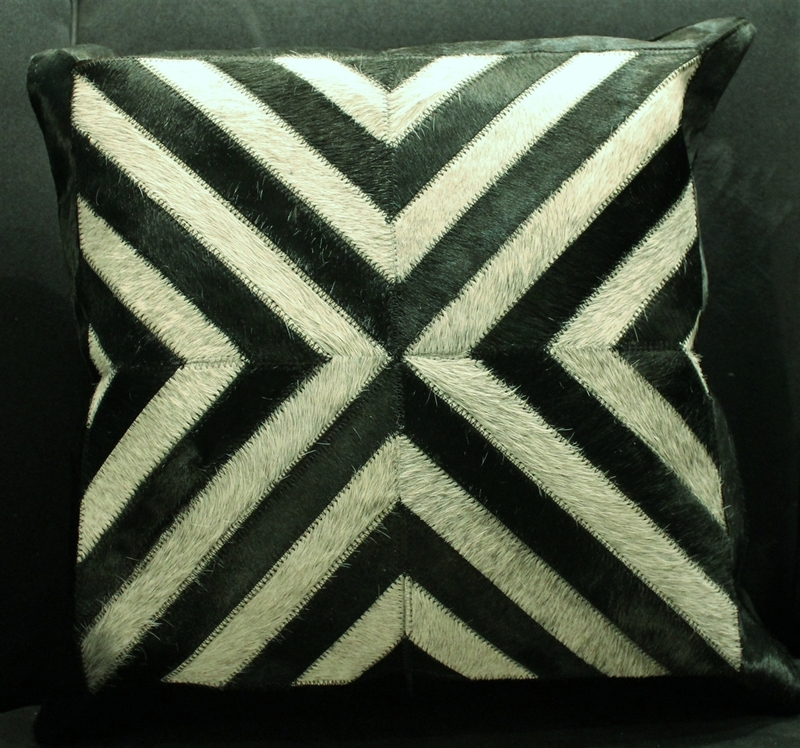 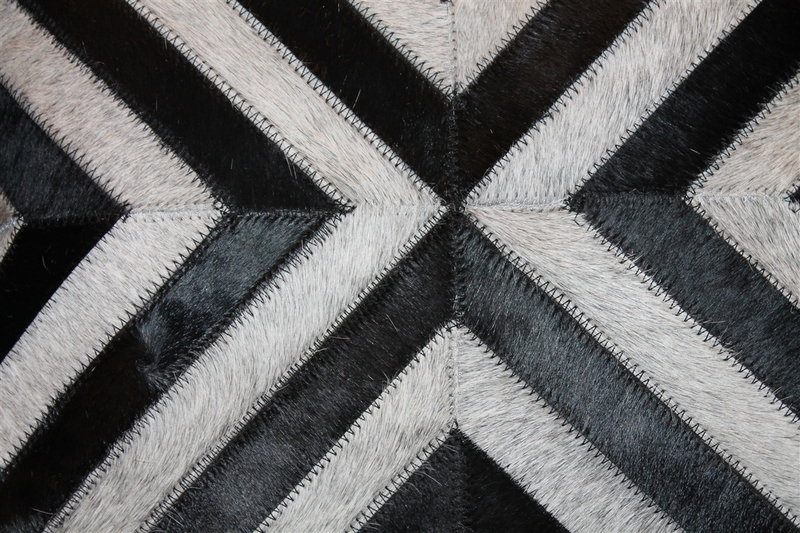 This is a black and grey cow hide striped pillow measures 18" x 18" and comes with a removable stuffed insert.